God of War is widely considered one of the best games on the now-hanging-on-a-thread Playstation 2 system. As a third-person action adventure game, God of War is certainly a strong offering. The game combines elements from all sorts of genres, including platform, puzzle and, to a lesser extent, RPGs. At its core, however, GoW is a hack ‘n slash brawler. 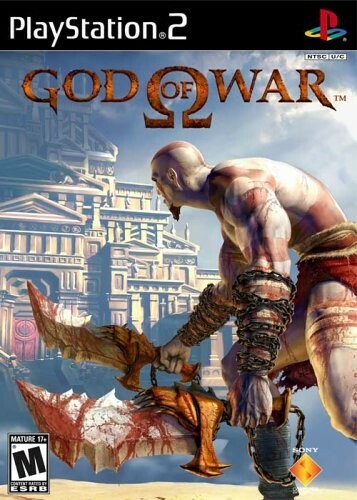 Users play as Kratos, a blood-thirsty Greek warrior with unbelievable strength who is on a revenge mission to kill Ares, the god of war. The story is simple, but as the game progresses it is easy to get behind the revenge plotine. The Greek mythological setting allows the game to provide some truly epic moments. Boss battles, although few and far in between, are incredibly intense, as there is nothing like taking on an opponent far bigger than Kratos. In order to slay bosses and some other tough enemies, users have to input certain buttons/joystick movements to match what is shown on screen. While some oppose these quick-time events, I found them to be satisfying since they help create a frantic atmosphere in the key moments of the game. There are dozens of memorable events in the game, and with an impressive soundtrack in the background, it truly feels as if you are partaking in something epic. While God of War is a well-polished game (and easily one of the best-looking on the PS2), it does have a couple flaws that hold it back from being a masterpiece. As mentioned earlier, the boss battles are incredible yet there are only a few in the game. It would be nice to see more of them to break up the occasional monotony of entering a room, clearing it of enemies, and then repeating this over and over. Also, while the stationary camera angles are usually good enough, there are moments where they switch over at the most inopportune times. This doesn’t happen too often, but when it does it is frustrating. Overall, however, God of War is definitely an enjoyable experience and is one of the strongest hack ‘n slash games available on the PS2.